I am planning to give COMMUNITY CLOUD CONSULTANT certification. can any one help me with the detailed topics which need to be covered other than which are mentioned in study guide. Here are some useful blogs which will give you idea about the questions and some mock exams. 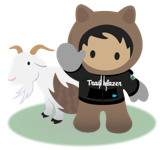 I've almost exclusively used inkling's so-called e-book (https://www.inkling.com/store/book/communities-architecture-salesforce/) for preparation, plus skimmed salesforceben's materials (http://www.salesforceben.com/community-cloud-certification-guide-tips/ and http://www.salesforceben.com/certified-community-cloud-consultant-exam/), who's mock exam does have a couple of questions lifted directly from the real exam. I've passed this exam on first attempt pretty confidently, getting 18% more correct answers than required. @Gopal, providing "dumps" is a violation of your agreement with Salesforce, you can be stripped of all earned certificates and banned from acquiring new ones. Following are the additional topics that one should have a detailed understanding apart from the ones mentioned in certification guide. License+Edition : Performance/Community ; Enterprise/ Community Plus : Which combination allows external user to login? Lightning Bolt : How to make one community( in one language) from other( other language) using bolt? Branding(2/3)- HEX/Logo/CSS : which is best way? I still have the 6 latest dumps trusted by a lot of users here ! They all passed their certifications ! They have been all updated to SU18 certifications. Please never buy dumps from Dumps For Life : yzn_@hotmail.fr. The dumps are not correct and you will regret buying from him. Plus once you have paid he never replies back.